MatchDayMailCloud is Sotic bulk mailing platform. It’s packed full of clever functionality to help you maximise your email marketing efforts and deliver targeted campaigns to your subscribers. In this blog, learn how to use the Preheader Text functionality as an extra chance to gain your subscriber’s attention. You know that snippet of text that displays in an email in your inbox, after the subject line? This is called the preheader, and by default it’s the first line or so of text within the email. However, often a ‘click here to unsubscribe’ call to action is the first text on your campaign – necessary, but not really what you want to urge your subscribers to do. However, using the preheader text can be another opportunity to get your contacts’ attention, especially if they’re accessing their inbox from a mobile device. 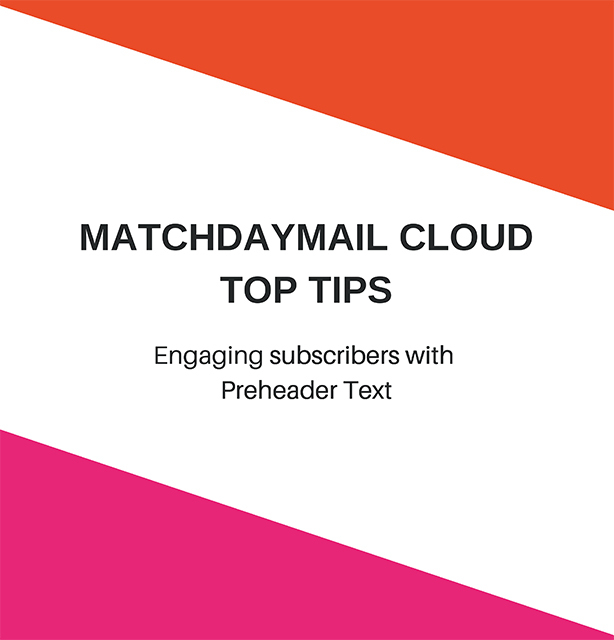 It’s easy to adjust your preheader text within MatchDayMailCloud. The Settings module will pop up, where you’ll see a field to input your own preheader text. If you are interested in finding out more about Sotic’s MatchDayMail Cloud bulk emailing product please drop us a line on hello@sotic.net.